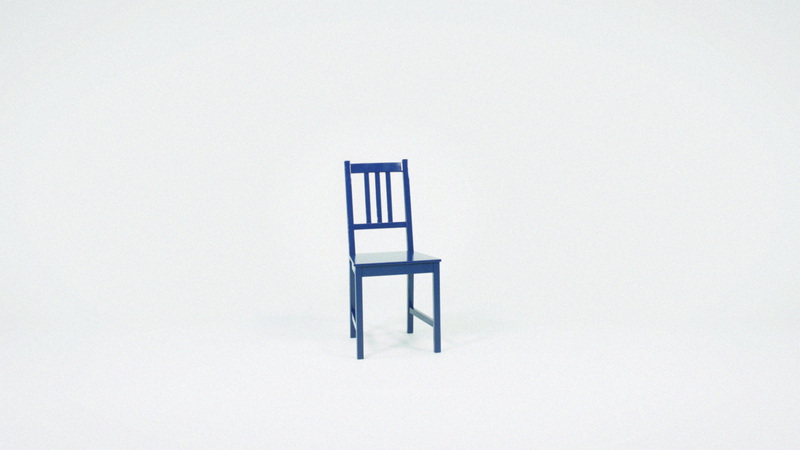 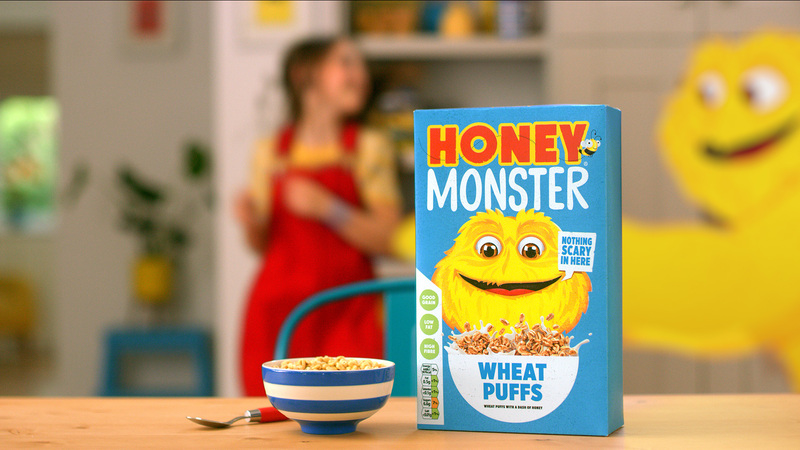 To be included within the rebrand of an iconic household name is something that doesn’t happen often. 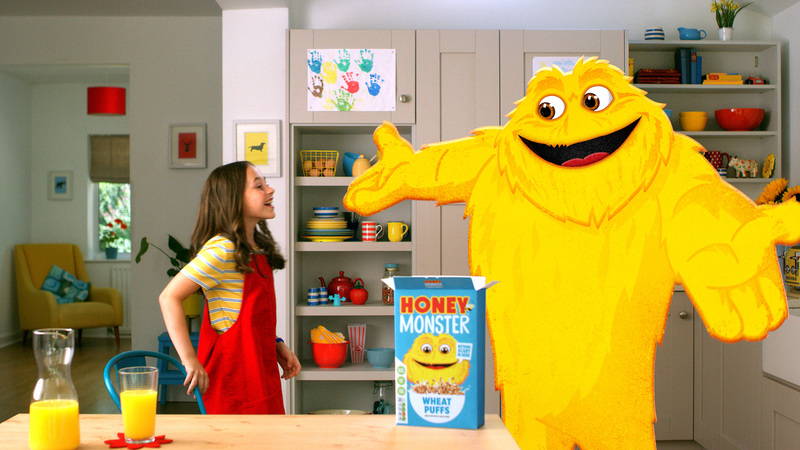 So, we were very excited when approached by The Gate to aid them in making the Honey Monster’s TV comeback. 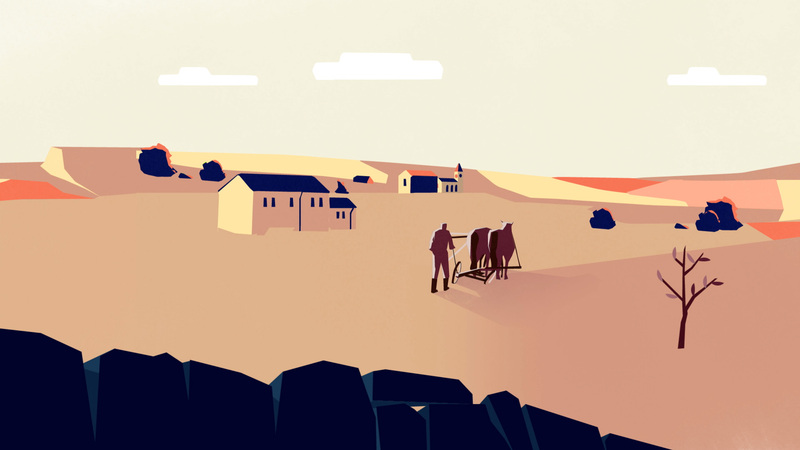 The Gate had already been tasked with shooting the live action with Director Bethan Seller. 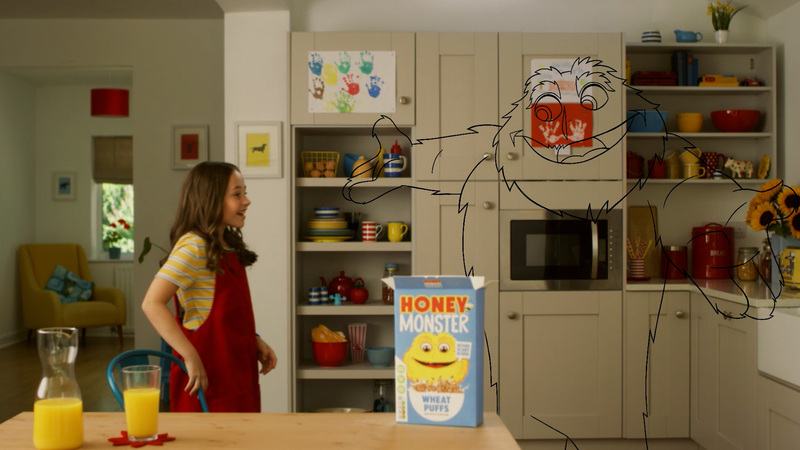 The new TVC would feature an animated Honey Monster celebrating how Honey Monster Puffs bring a special kind of magic to breakfast time. 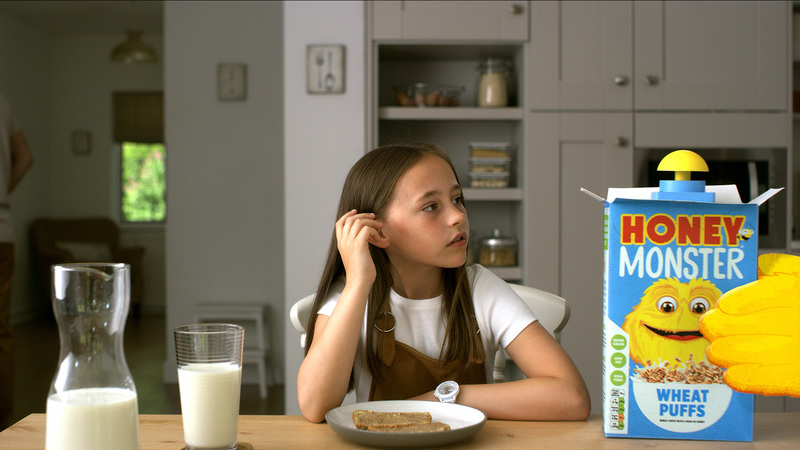 Robot Food had designed the head and a hand of the new character. 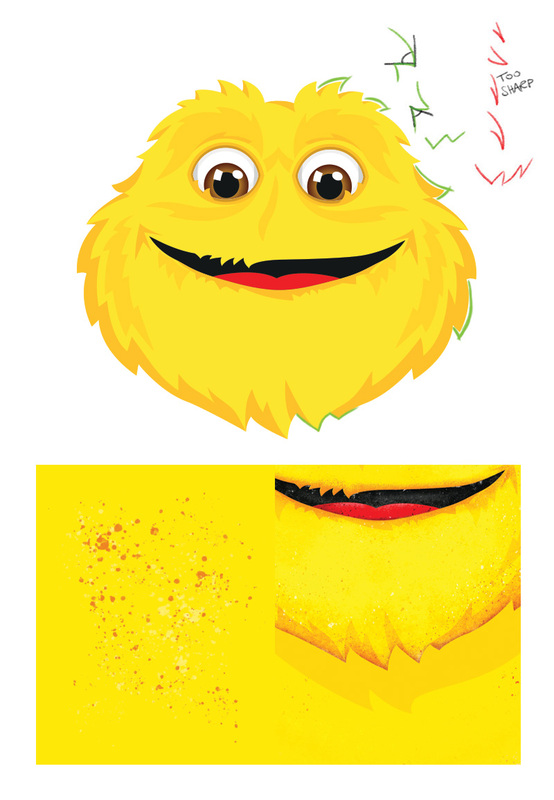 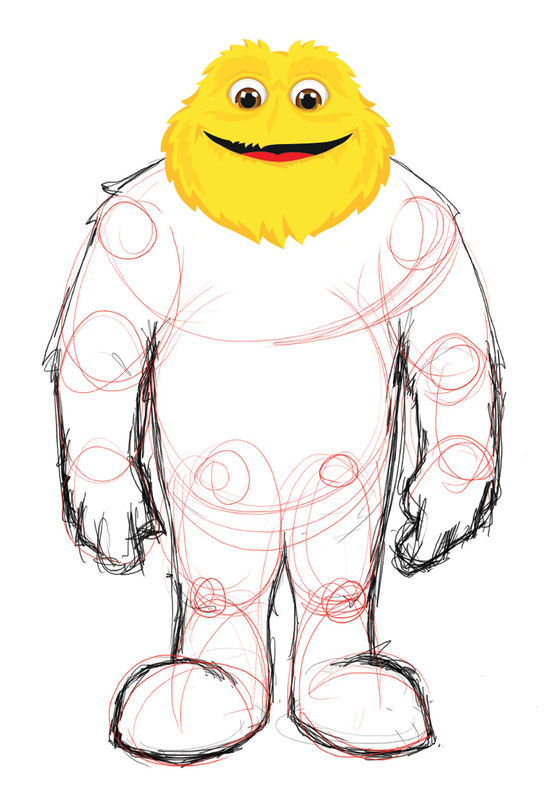 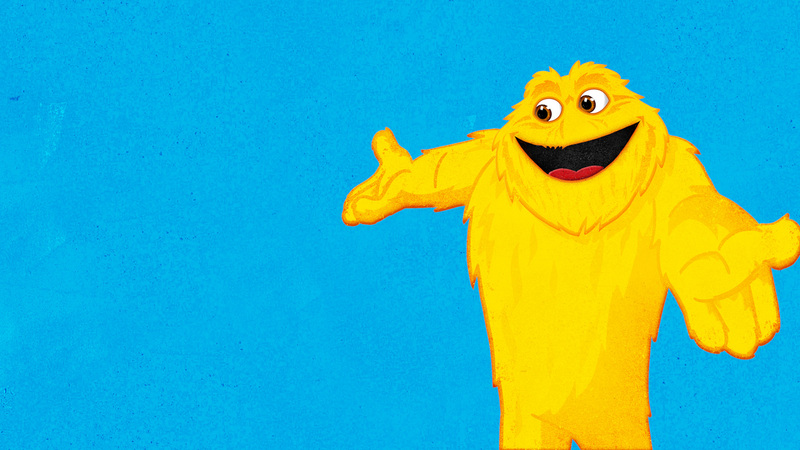 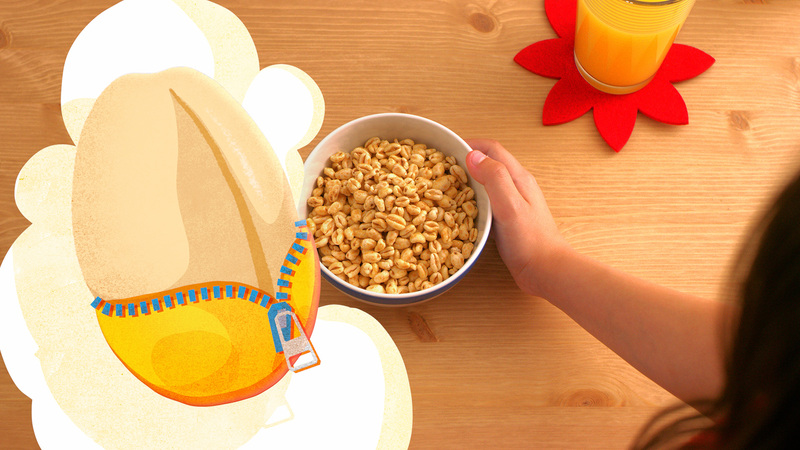 So we started by creating the body, ensuring that it was consistent with the original look of the Honey Monster. 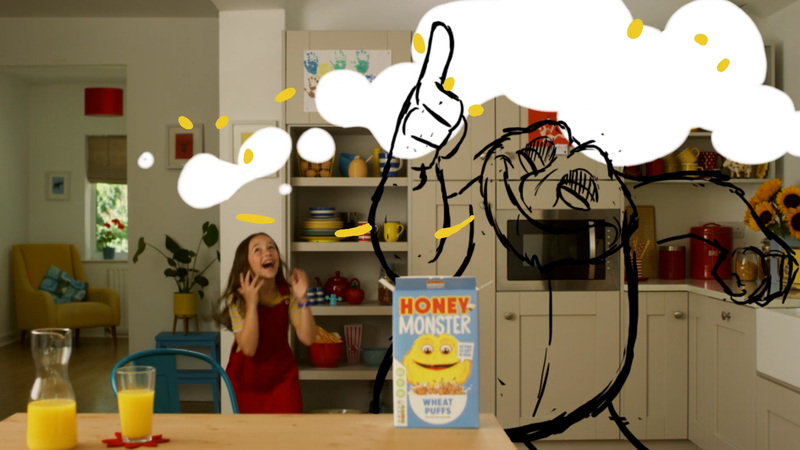 However, the loveable character would now appear more trim and active and therefore in-line with modern healthier eating lifestyles. 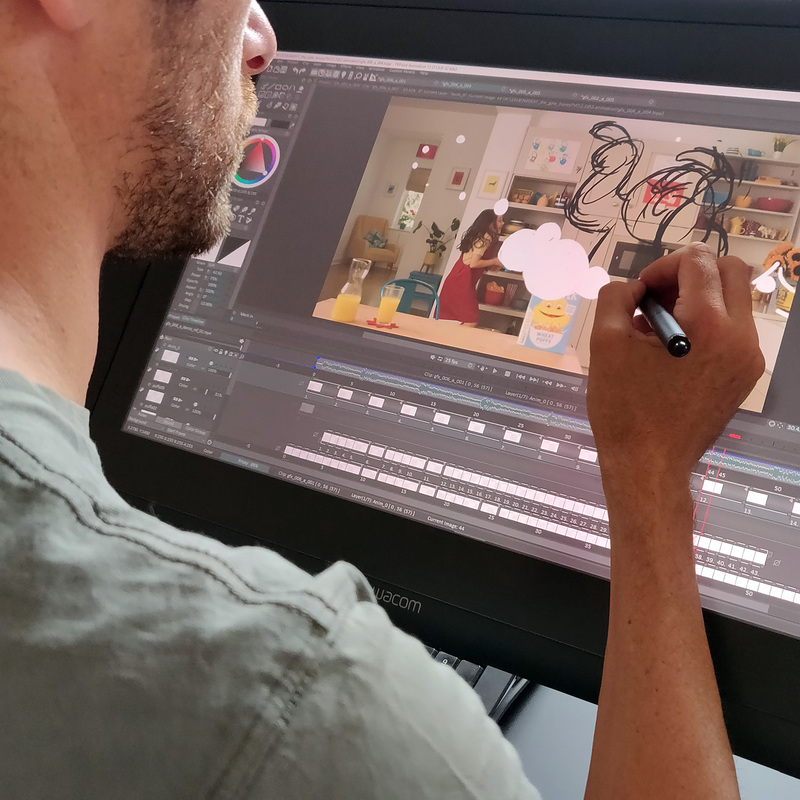 We approached the gfx like a traditional cell animation, with every frame hand drawn. 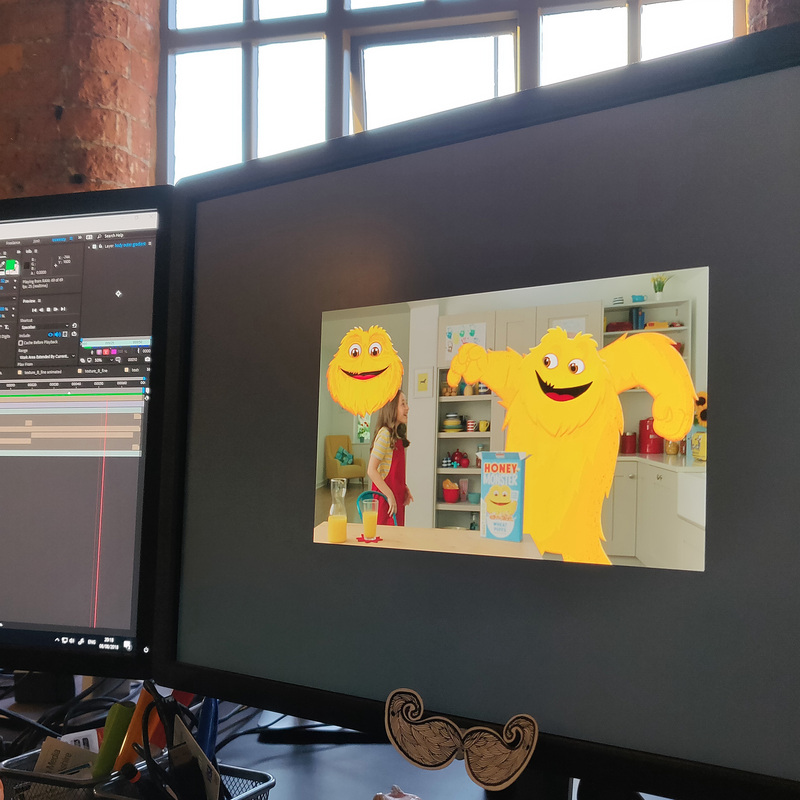 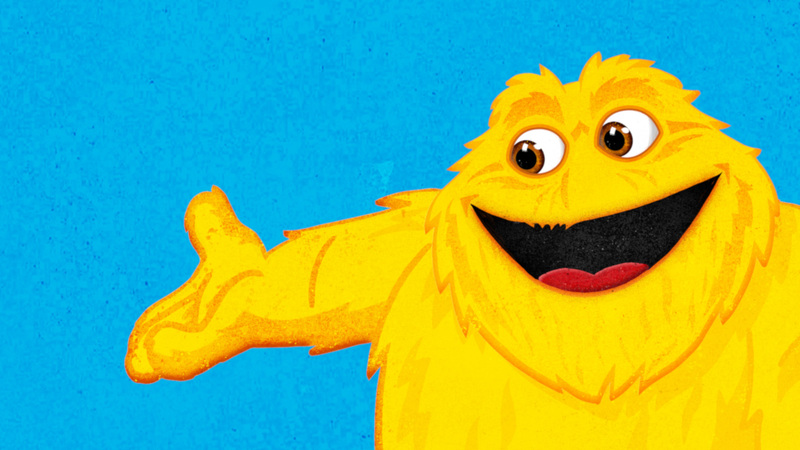 The Honey Monster posed us a fair amount of challenges, not least the shading and fur, which was created by using vector mattes and painted textures. 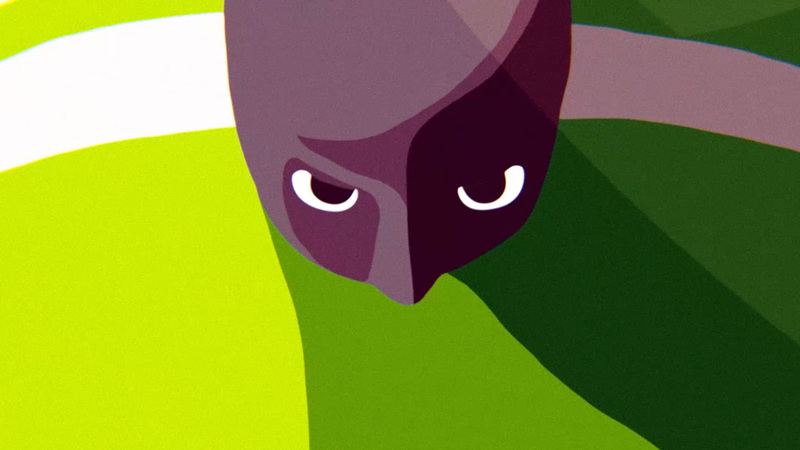 In itself this was a challenging process, especially as this was created within a very tight production timeframe. 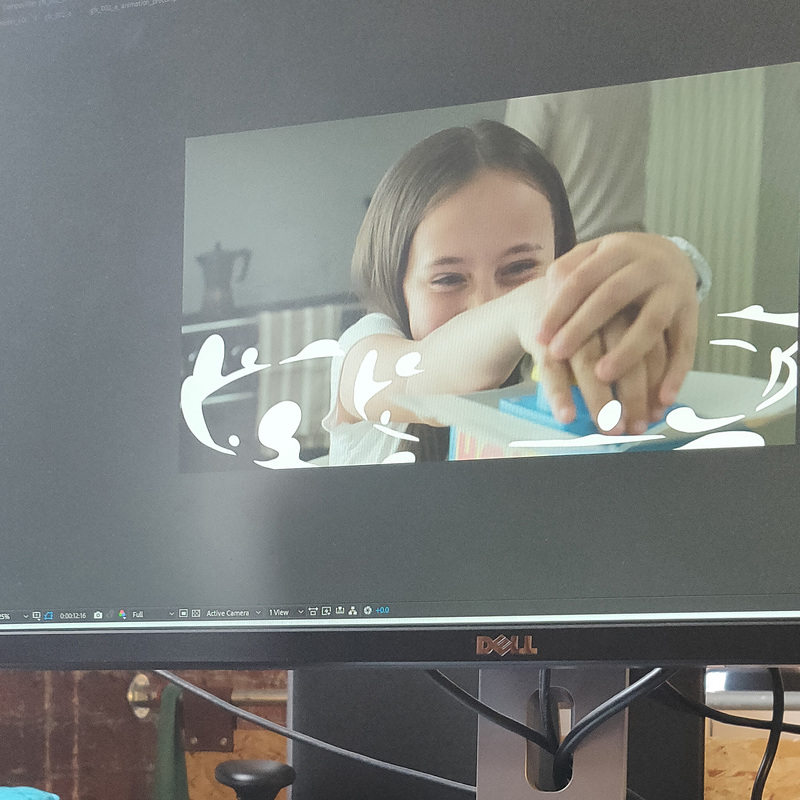 350 + hand drawn frames x 4 (rough, cleanup, colour, texture) x 2 (head and body passes) = love for the job!